On Tuesday, Maryland Gov. Larry Hogan kept his end of the promise and signed a fracking ban. The legislation is the light at the end of a long tunnel for environmentalists, who celebrated the hard-fought win but remained cautious about Hogan’s future decisions. Some expect the legislative action in Maryland to encourage other starts to boost their efforts in prohibiting the controversial technique of fracking. This gas extraction method is now permanently outlawed due to the new piece of legislation. In earlier days, Hogan has actually be a strong supporter of fracking, even though he had agreed to strict regulations. Pushed by lawmakers, however, he decided to finally pass the ban. “Possible environmental risks of fracking simply outweigh any potential benefits,” Hogan said in a press interview. While environmentalists rejoiced, plenty of investors in the gas-rich western Maryland were disappointed by Hogan’s decision. They had hoped hydraulic fracking would become a booming industry in the area, bringing thousands of jobs to the region. Delegate Wendell Beitzel, a representative for the western Maryland counties, said landowners and farmers could have benefited from this endeavor. According to Beitzel, fracking would have had a much greater economic impact in the long-term – even beyond the jobs created for the drilling itself. 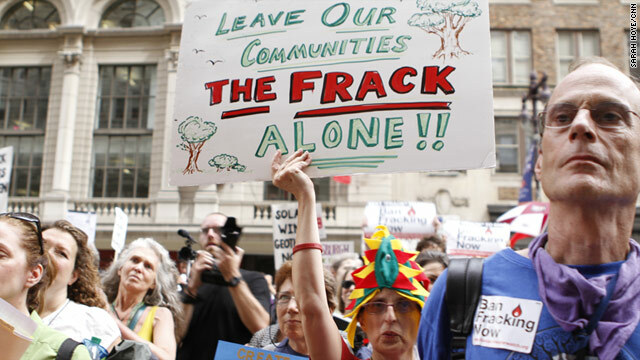 For environmentalists and the eco-friendly community, fracking was a constant issue they fought against. In addition to the environmental impacts, people were worried about the negative health effects of fracking. Therefore, it’s clear why the ban is such an important step forward. However, the victory hasn’t made the green community less skeptical about Hogan. The Governor has made quite a reputation for himself, boasting a mixed record when it comes to environmental issues. While Hogan has supported some green causes – winning him the praise of the community – some of his decisions were quite controversial. Signing the ban on fracking is an action that won him plenty of green points. Last year, Hogan also signed an amendment for the Greenhouse Gas Reduction Act, requiring the state to carry on the reduction of greenhouse emissions. Also in 2016, the Maryland Governor vetoed a bill that would have established new targets and deadlines for renewable energy. His reasoning stated that alternative energy burdens taxpayers with several dollars per monthly electric bills. However, Hogan lost as state lawmakers overrode his veto in the 2017 General Assembly session. According to a spokesman for the governor, Hogan will continue to protect the state’s most precious natural resources. But he has some improvements to make if he wants to win the trust of environmentalists. They say the governor’s stances have sometimes been contradictory and unpredictable. While Hogan supported the goals on GHG emissions, he went on and vetoed the renewable energy standards. “What we look for in the governor is environmental leadership. It’s been challenging, because sometimes, his actions aren’t consistent,” explained Josh Tulkin, the head of the Sierra Club’s Maryland chapter. Fossil fuels have a huge contribution to our day to day activities. Coal, oil, and gas keep billions of cars running and millions of home heating systems working. Not to mention the thousands of power plants that rely on fossil fuels to operate. However, environmentalists have been concerned for a long time about our overdependence on them. What exactly is fracking? In simple terms, it’s a technique involving high-pressure jets of water blasted underground inside oil and gas deposits. That way, we can exploit more of Earth’s resources, even those located in inaccessible sites. Hydraulic fracturing – a self-explanatory term, after all – refers to using pressurized water to power extracting machines. Shooting water down a gas well causes the rocks inside to fracture from the sheer pressure. This way, the trapped gas (or oil, depending on the well), is freed to flow to the surface. Then, workers can easily collect it. Many business owners in Maryland breathed a sigh of relief when they heard the news. For instance, Nadine Grabania, the owner of a small winery in the beautiful hills of Garrett County, was concerned about the expansion of fracking. Her winery sits above the gas-rich Marcellus Formation shale deposit, which meant trouble in the case of fracking initiatives in the area. But Grabania hasn’t wasted her time waiting for the ax to fall. For the past six years, she dedicated her time to making delicious wine and combating fracking. Her business was not the only one in danger; the extraction process could have affected her asthma, as well. Now that the future is brighter, Grabania hopes the region will find greener alternatives to advance the economy. Maybe they could start a cooperative solar, or a small-scale community based on wind energy. Maryland is officially the third state in the U.S. to ban fracking, after Vermont and New York both signed their own legislation. Governor Hogan, passed the fracking ban as law a week after the Democratic-led General Assembly signed the bill. Before this development, the state had set in place a temporary moratorium on fracking. However, it was going to expire in October, so a decision had to be made. Maryland’s decision to prohibit fracking doesn’t just protect Maryland. The victory is already inspiring other green communities to pushing for a ban. For example, Florida’s legislature is currently considering bills to ban fracking, and activists hope Maryland’s success will speed things along. Pennsylvania and California are also in talks about passing their own fracking bans. What do you think about fracking? Is banning the solution, or should environmentalists try to accept a compromise? Let us know about your insights on our reliance on fossil fuels in the comment section below.